Lacquer: The Best Medicine! 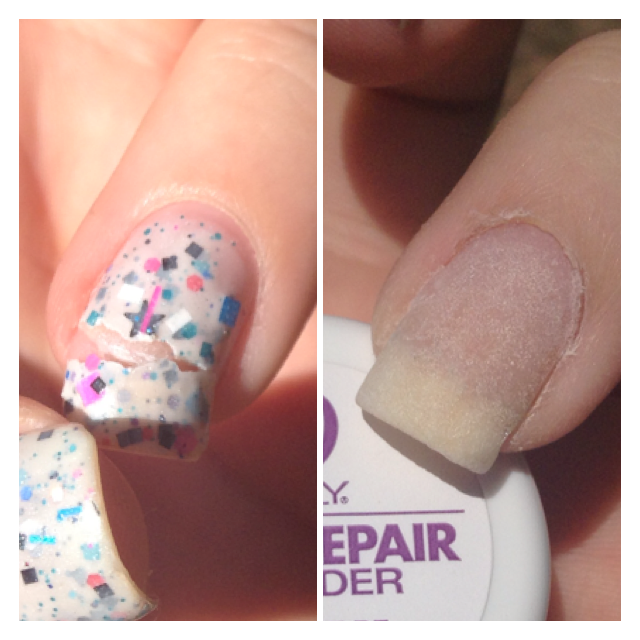 : Guest Post: iDream of Lacquer does Nail Repair! Guest Post: iDream of Lacquer does Nail Repair! TGIF! I've got an awesome guest post today, courtesy of Tabitha from iDream of Lacquer - she's an insanely talented nail artist, and she did a special post for my readers today to show them how to easily repair a torn nail! :-) Take it away, Tabitha! Hello ladies! I am so excited to be doing a guest post for Ariel! 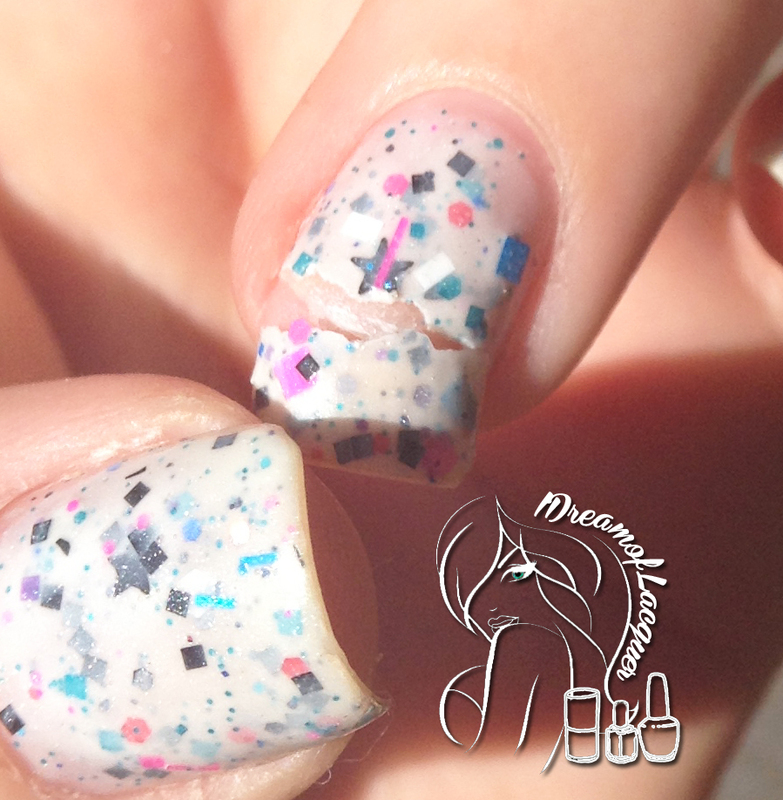 I wanted to share something that can never be shared enough and thats how to fix a broken nail. These are a few ways to fix them but this is always my Holy Grail! While decorating our house after the move a picture fell and of course i caught it and this happened. 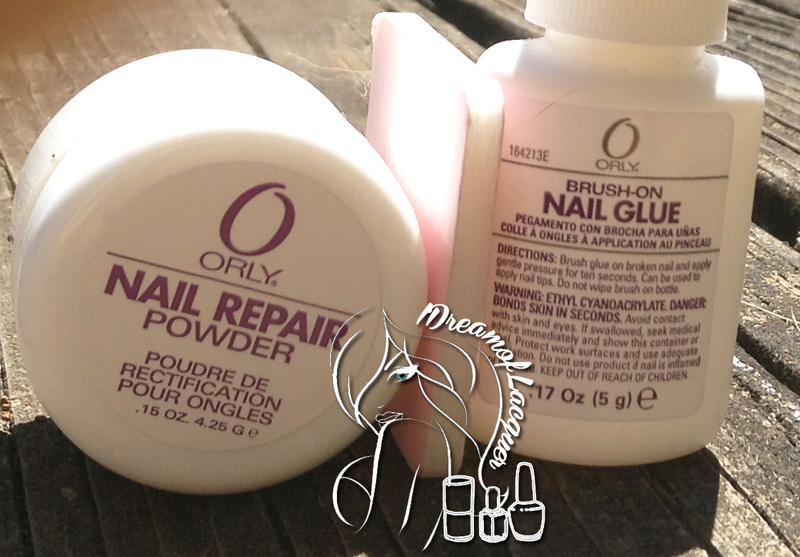 :( Luckily about a year ago i bought the Orly Nail Repair Kit to have on hand just in case and by pure luck i managed to save my nail!! 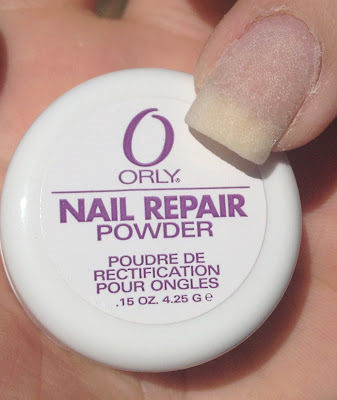 Orly Nail Repair can be purchased at Sallys Beauty Supply for about $8 i believe and im sure you can find it online too. Honestly if you dont have this you NEED to, even if you dont have bad breaks because you never know when you will need it. In the kit you get 1 bottle of nail glue, 1 container of powder and 1 nail buffer. Then you apply nail glue to the ENTIRE nail. Do this step quickly because it will start to dry. I apply two coats of glue just to be safe. Dip your nail into the powder. Let your nail dry completely. Take your nail buffer and buff the entire nail until you are happy with the texture and look. You can paint your nails with this on and can change your polish multiple times and it will NOT come off. To remove it you have to soak it off in polish remover. You can also reapply more if you need too. This stuff is a life saver and i swear by it and i know so many other polish addicts do too! I hope that this post will help someone in need!